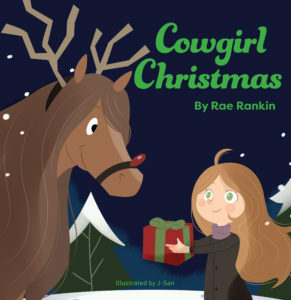 Just in time for the holiday gift-giving season, local author, Rae Rankin, released her third book, Cowgirl Christmas, a story celebrating the joy and magic of Christmas. Told in charming, easy to read rhyme, the story returns to the barn from Mrs. Rankin’s first book Cowgirl Lessons. Cowgirl Christmas begins as the girl, inspired by Rankin’s daughter, waits impatiently for school to let out for the winter vacation. From there she heads to the barn to meet up with her favorite horse Duchess, family, and friends to share cheer at Christmas. They have been collecting presents all year and tonight is when they share with their community. They even go caroling on horseback! Rankin hopes families are inspired by Cowgirl Christmas and look for ways to give back to their community during the holidays. 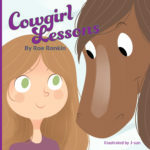 Cowgirl Christmas is the perfect gift for your horse crazy kid or favorite bookworm. Rae Rankin is an independent marketing and graphic design consultant transplanted from El Dorado Hills, CA to the wilds of Utah. After two landlocked years (no the Great Salt Lake is not a substitute), her family was transferred to the Pacific Northwest. Four years later, life has brought them full circle back to El Dorado Hills. Cowgirl Christmas is Mrs. Rankin’s third book. Her first book, Cowgirl Lessons, has been called a book of love and heart and her second book, Beach Day, makes you want to hop in your car and head to the beach. Cowgirl Christmas is available online at www.amazon.com, www.barnesandnoble.com, and other online book retailers.